ORDER NOW TO RECEIVE INTRODUCTORY PRICING OF $119.99! (MSRP is $149.99). 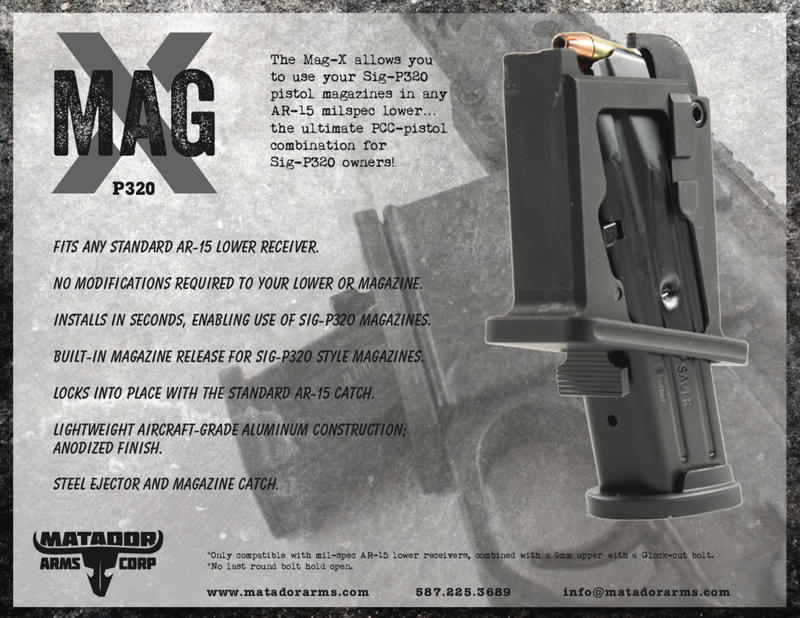 The Mag-X allows you to use your Sig-P320 pistol magazines in any AR-15 milspec lower… the ultimate PCC-pistol combination for Sig-P320 owners! 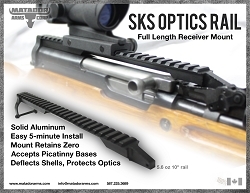 Fits any standard AR-15 lower receiver. 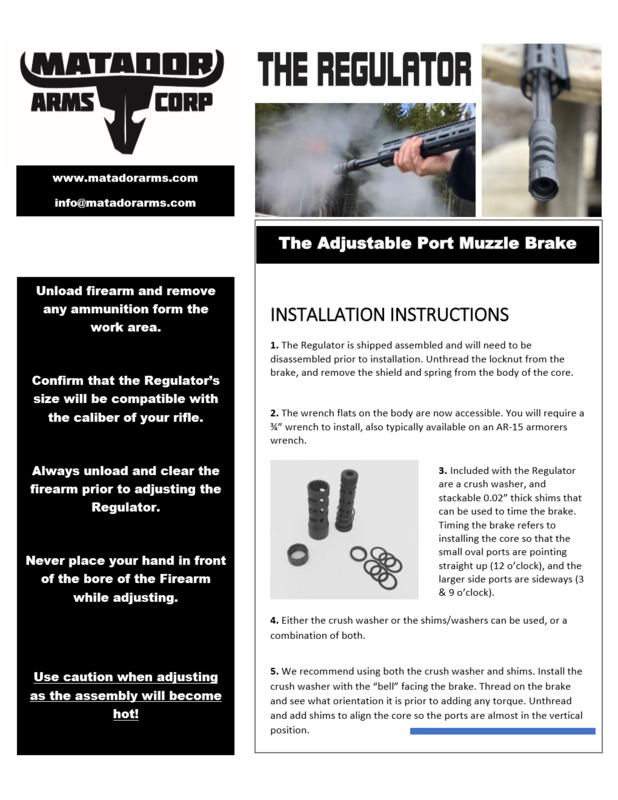 No modifications required to your lower or magazine. 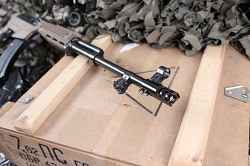 Installs in seconds, enabling use of Sig-P320 magazines. 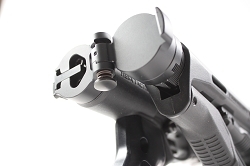 Built-in magazine release for Sig-P320 style magazines. 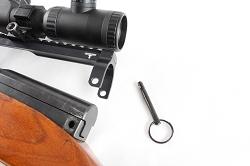 Locks into place with the standard AR-15 catch. Lightweight aircraft-grade aluminum construction; anodized finish. Steel ejector and magazine catch. 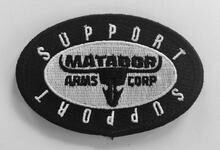 *Only compatible with mil-spec AR-15 lower receivers, combined with a 9mm upper with a Glock-cut bolt. *No last round bolt hold open.